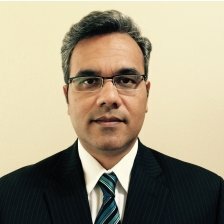 Dave Bhattacharjee is the Vice President of Data Analytics for Stanley Black and Decker. In this role, Dave is responsible for monetizing Stanley Black and Decker’s data assets. His current projects include analytics applications for physical security, retail, healthcare, smart factory and marketing. Prior to Stanley Black and Decker, Dave was at Cisco Systems where as Managing Director, Dave managed and led Cisco’s consulting services for analytics and big data in the Americas. He has also held leadership positions at IBM and PriceWaterhouseCoopers where Dave worked with the Fortune 500 on large scale initiatives designed to create business value through data and technology. Dave has an MBA from the University of Texas at Austin and a Bachelors in Computer Science and Engineering from Arizona State University.